Born in Natchitoches, Louisiana, on April 9, 1950, Veronica Pearl burst into the world one Easter Sunday. She was the first of four children born to Reverend Thomas J. Bridgette and Vivian Edwards Bridgette. She attended Wesley Methodist Episcopal Church, where she was confirmed at age 12, under the leadership of Reverend Henry Gage. She attended Southside Elementary, Southdown Junior High and graduated from Southdown High School in1968. She was an active participant in the High School Band, where she played the clarinet. After High School, Veronica enrolled at Southern University, in Baton Rouge, Louisiana, where she obtained a Bachelor's of Science Degree in Foods and Nutrition. She loved trying new recipes and serving these dishes to her family. She was an avid seamstress and enjoyed making outfits for her mother, sister, and later her daughters. While at Southern University, she formed a bond with a fellow student, and that union produced a beautiful baby boy named Alaric John. As a young mother, she always had her family's support and help. In November of 1973, Veronica moved to San Diego, California. She later joined St. Paul United Methodist Church, under the leadership of Reverend Grandison M. Phelps, Jr., where she served as a Communion Stewardess and a member of the United Methodist Women. Veronica began working at Scripps Memorial Hospital in the Food Services Department. And later with Kaiser Permanente Hospital as a Diet Clerk, where she retired after twenty years with service of excellence. Although her job required her to often work on Sundays, she always looked forward to attending church whenever she had Sundays off. In 1975, Veronica met Marvin L. Shaw of the United States Navy. They were married in September of 1976. Their union was blessed with two beautiful daughters, Kendra Yvonne and Andrea Marie. She was a devoted mother, sister and aunt. In later years, she met her longtime companion, Robert Hamilton, they remained devoted to each other for over twenty years. 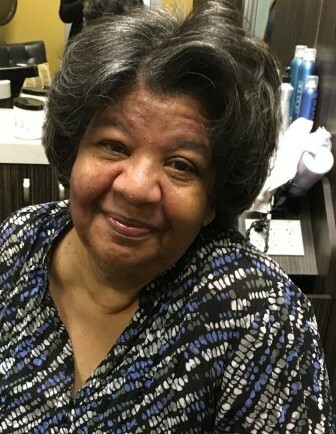 Veronica enjoyed life, she loved playing cards, bingo, going to the casinos and horse racing, but as her health began to decline, she began to lose interest, but she would always try to watch the Kentucky Derby. She was preceded in death by her parents, her son, Alaric John Bridgette, and sisters, Frieda Louise Bridgette and Myrtle Harris and her Maternal and Paternal grandparents. On Sunday, January 13, 2019 Veronica Pearl Shaw was called from earthly labor to eternal rest. She leaves to cherish her memory: her daughters, Kendra Y. Shaw Edwards (Gary) and Andrea Marie Shaw, her brother, Thomas J. Bridgette, Jr. (Carolynn), sister, Mary E. Bridgette, her aunt, Louise Edwards Banks, her companion, Robert Hamilton; four nephews, five great nieces, and a host of cousins and friends.